Being charged with a DWI (driving while intoxicated charge) is not only incredibly serious but the effects can last a lifetime if not handled properly. 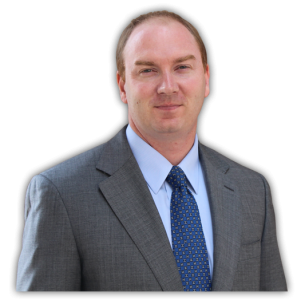 Contact me immediately if you need an experienced DWI attorney in San Marcos, Texas, to represent you and your case. Also commonly known as a DUI (driving under the influence), this charge does not only mean “drunk driving-” it pertains to any situation where it may be determined a person is unsafely operating a motor vehicle while under the influence of a chemical such as alcohol, illegal drugs or pharmaceuticals that can impair motor skills. 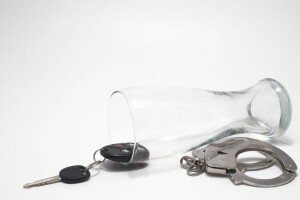 As the best San Marcos DWI Attorney in San Marcos, The Law Office of Lance Turnbow understands all of the intricate issues associated with presenting a strong defense against a driving while intoxicated conviction and will guide you through the process to ensure the most positive outcome possible. Arrested and Charged with a DWI? If you have been arrested and charged with a DWI in San Marcos, elsewhere in Hays County, or in other nearby counties in Central Texas, be aware that the prosecution is prepared to move fast and hard for a conviction. It is imperative to immediately seek council and have them review the arrest tape and all subsequent documents associated with the DWI charge. It is also important to know how to avoid accidentally incriminating yourself further. We will thoroughly review all evidence in order to determine if there was probable cause for you to have been pulled over in the first place. We will also review whether or not you were read Miranda rights which detail the rights you maintain while under arrest, and if all procedures were followed by the authorities when requesting from you a field sobriety test, breathalyzer or blood sample. If the arresting officer did not follow proper procedures during the arrest, or if procedure was not followed while you were in police custody, your case may even be dismissed. Many people find that their driver’s license is suspended quite soon after the DWI charge, making it difficult to retain employment. If you find your license has been suspended our goal is to obtain an order from the judge providing you with an occupational license so that you can continue to go to work or school. If you are a student, there may be additional repercussions associated with your school. At the Law Office of Lance Turnbow, we will do all we can to get you through the minefield of problems associated with a DUI charge. If you are stopped and an officer suspects you have consumed alcohol he will ask you to perform some field sobriety tests. These three tests are the HGN (horizontal gaze nystagmus), the walk and turn, and the one-leg stand. These are not actually pass/fail tests, rather the officer looks for a certain number of “clues” to determine if you are intoxicated. These tests are very difficult to perform and although everyone should refuse them many people don’t. The officer is not required to tell you that you can refuse to perform field sobriety tests. When the officer conducts the tests he is gathering evidence to be used against you in court. Your performance is being video recorded and is played by the prosecution to help try to convince a jury of your guilt. If an officer suspects you are intoxicated he will ask for a specimen of your breath or blood. At one time the common practice was to refuse the tests so the state would have no way of establishing an exact blood alcohol concentration. However, recently many counties have enacted mandatory blood draws for drivers who refuse a breath or blood test. What this means is that if you refuse to give a specimen the officer gets a warrant to draw your blood from a judge and then takes you to the hospital where a nurse performs the blood draw. Hays county judges so far have not agreed to issue warrants for blood draws. Comal county does mandatory blood draws every day of the year. Travis county and Guadalupe county only do mandatory blood draws on holidays like July 4th or New Year’s eve. There are ways that breath and blood tests can be innacurate, but if given the option you would be better off to refuse any test. Once arrested you have 15 days to request a hearing regarding the suspension of your license. If a hearing is not requested your license is automatically suspended on the 41st day after your DWI arrest. If the hearing is requested you can legally drive until the hearing date. If at the hearing the judge suspends your license I can usually get you an occupational license to let you legally drive to work or school while your regular license is suspended. The only way to legally drive while your license is suspended is to get an occupational license. If you are driving on a suspended license without a court-ordered occupational license you will be arrested for a separate charge of Driving While License is Invalid. How individual counties treat your DWI case. Hays County District Attorney’s Office offers alternate dispostions in some DWI cases. This means in some cases it is possible to change the DWI charge to Reckless Driving or Obstruction of a Highway. This is usually only done in cases where the defendant has no criminal history and was not in accident leading to the arrest. Other important factors include BAC number, and the completion of community service and DWI education class. Travis county is similar to Hays in the way they treat DWI’s. Alternate dispositions can be obtained for pro-active defendants with decent facts. Travis county likes to see that defendants are completing classes and community service before their case comes to court. Comal County is the most difficult county in South Central Texas for DWI charges. Not only do they have mandatory blood draws 24/7, they do not offer alternate dispositions under any circumstances. DWI defendants in Comal County are either placed on DWI probation or they go to trial on a DWI charge. Reducing the charge to reckless driving or obstruction of a highway are not options. In Guadalupe County alternate dispositions are possible if the BAC is not over .15 and the driver was not involved in a crash. One of the most unique things about Guadalupe County DWI’s is that County Court at Law Judge Frank Follis requires anyone convicted of DWI to do a minimum of 3 days in jail as a condition of their probation. Most counties do not do this but it is required in Guadalupe County and the only way to avoid it is to not be convicted. Having a DWI Attorney is Essential. Being sure you have a qualified DWI attorney in San Marcos is key- the prosecution is under a lot of pressure to make sure you are convicted and a regular attorney who only occasionally handles driving while intoxicated cases will lack the expertise and experience in dealing with the individual prosecutors and judges. If your DWI case is not handled properly, the long-term effects of a conviction can be devastating. A conviction can impact current and future employment, your credit score, your ability to vote, to rent a vehicle and so much more; there are so many reasons to do whatever it takes to avoid a DUI/DWI conviction. Our law office is well versed in the ins and outs of dealing with DWI charges and you will benefit from our experience and hard work. Of course, we do not condone drinking and driving or operating a motor vehicle under the influence, but we also do not believe that a mistake should devastate you for the rest of your life. The Law Office of Lance Turnbow will work tirelessly to make the entire stressful process as painless as possible. Ultimately, the goal is to help you protect your future so that you are not haunted by this experience for the rest of your life. Contact us today– you cannot afford to wait.